Does furniture shopping stress you out? We’ve noticed most people think shopping for furniture is overwhelming and confusing. 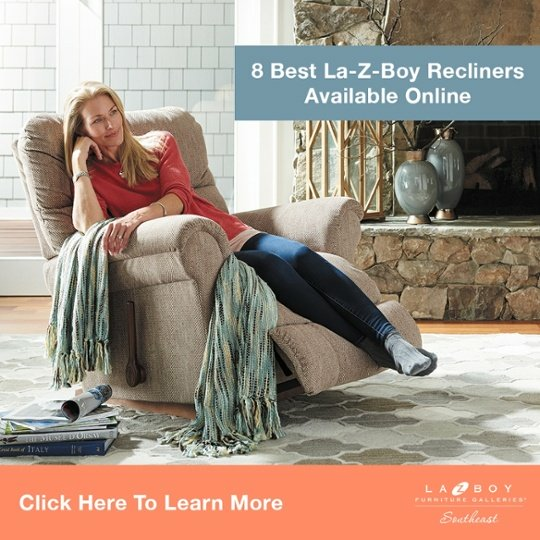 At La-Z-Boy Southeast, we think furniture shopping should be fun and easy. This is why we give all of our customers access to a degreed interior designer for free. Meeting with a degreed interior designer is a great way to make furniture shopping fun and easy. Here are some more quick tips to help you make furniture shopping fun and easy. It’s amazing to live in a time when everyone has a high-quality digital camera in their pocket. Most smartphones have cameras capable of taking and storing hundreds of pictures. Before you go shopping, take some pictures of your room with your phone. Try a few different angles to get the full scale of the room. Referring back to these pictures will help you visualize the room while you’re in the store. And they’ll give your sales representative or design consultant an idea of what you’re trying to accomplish. Take a tape measurer and write down the dimensions of your room. Having an idea of the floor plan will help you find furniture that fits the room. 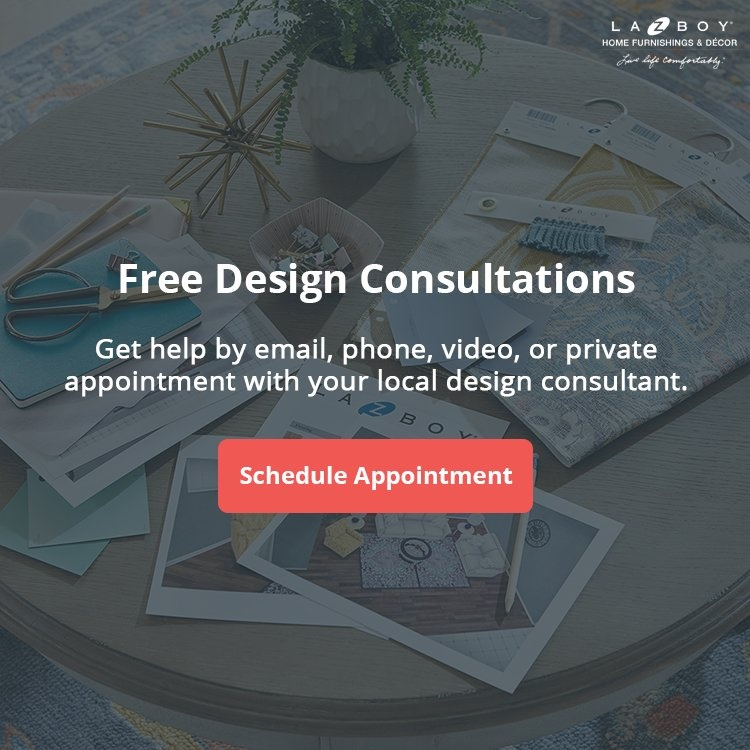 At La-Z-Boy Southeast, your degreed interior designer will offer to set up an in-home consultation for free. During the visit, they’ll measure the room, observe traffic flow, and take note of design features. After the in-home consultation, your designer will put together a 3D design plan featuring your new furniture in a virtual model of your room. Your friends and family are who you’ll share your furniture with while they’re visiting your home. And you’ll want them to feel relaxed during their stay. Asking for their opinion is a good way to help them feel comfortable with the furniture in your home. Of course, you should have the final say in what you decide to spend your money on. It’s important to consider others when shopping for furniture. Plus, it’s helpful to bounce ideas off other people and learn from their perspective. You can compare prices, read reviews, and find all sorts of design inspiration online. Most of your questions about furniture shopping are answered on the internet too. Being informed will help you make the right furniture purchase for your home. Plus, it’s more fun for design consultants to work with educated and engaged consumers. Decide how much you want to spend on your new room before you go shopping. It’s helpful to give yourself a range so it’s easier to stay under budget. Let your designer or sales rep know your budget so they can help you stay within it. Most furniture stores offer great financing deals. Be sure to keep this option in mind while setting your budget. Furniture delivery options will vary based on where you buy. Here are a few details you should check before you agree to the terms of your delivery. Will I know the exact time of delivery? You’ll want to be home when your furniture is delivered. Most full-service delivery services will call you one hour before delivery to make sure you’re at home. Will I have to lift and move the furniture myself? Furniture is heavy and usually requires more than one person to lift. Check if your delivery specialists will carry the furniture into your home and place it where you want. Will I have to assemble the furniture myself? If your furniture needs to be assembled, you may have to do it yourself. Full-service delivery includes assembly and saves you a lot of hassle. Some companies charge for delivery and others offer it for free. Be sure to ask these questions about your delivery. You don’t want to find your new furniture sitting outside in the rain. This last tip is the most important. Always remember to have fun shopping for furniture and don’t let yourself feel overwhelmed. 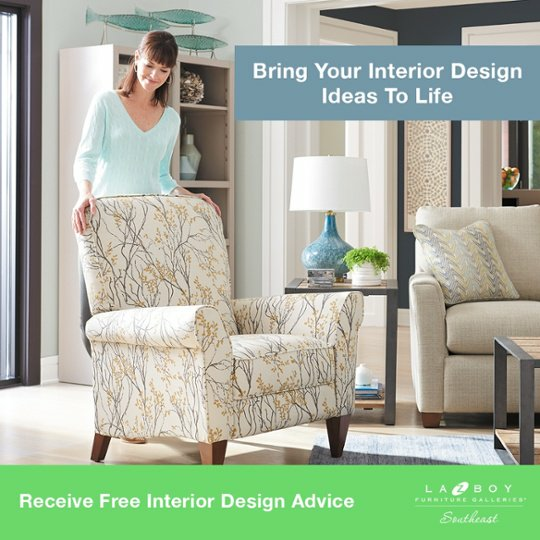 At La-Z-Boy Southeast, we give you the resources to make furnishing your home fun and easy. Your degreed interior designer will work with your style and budget to fill your home with joy. We would be happy to help you complete your interior design project at any of our locations in NC, SC, or GA.